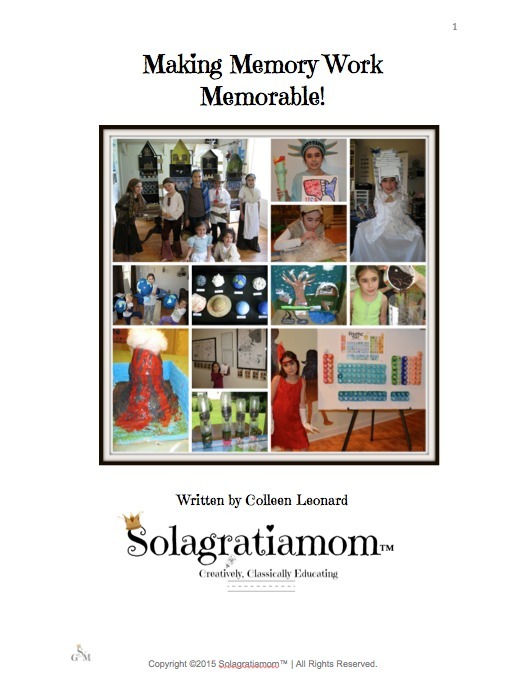 Solagratiamom: Writing & Rhetoric Review, Giveaway and Discount!!!! 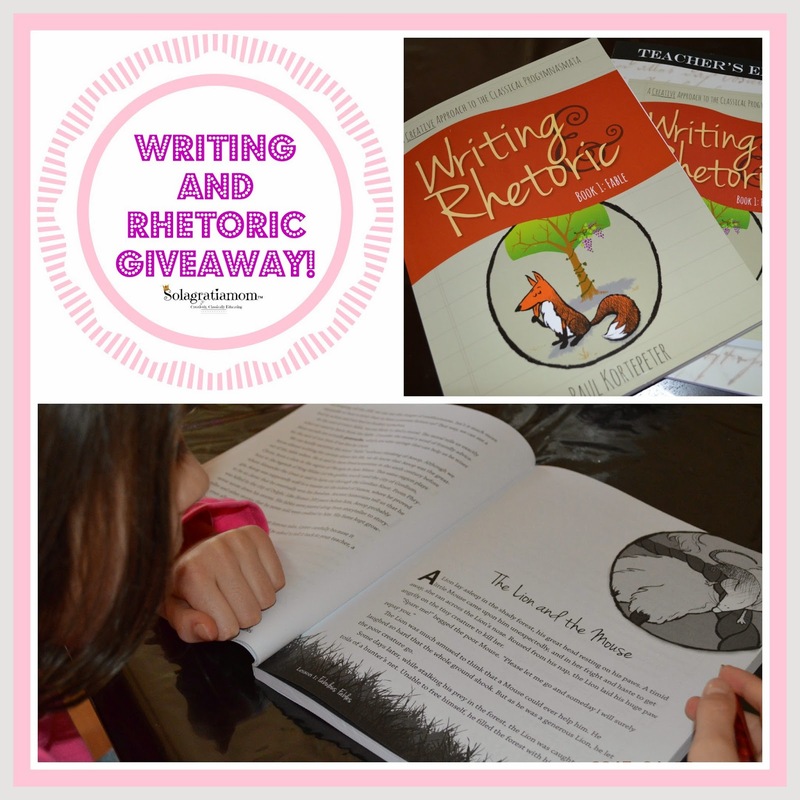 Writing & Rhetoric Review, Giveaway and Discount!!!! Happy New Year! I have a terrific welcome to the New Year for you all! A giveaway from Classical Academic Press for one free copy of their Writing & Rhetoric curriculum! The giveaway includes the Teachers Edition, Student Edition and the Audio Files! 20% Discount Until January 11th! If that isn't enough of a welcome to the new year, then there is also a hard to find discount of 20% on ANY Classical Academic Press Curriculum you purchase, from now until January 11th, when you use the code: SGM20 -just for being a viewer of Solagratiamom™! The discount is even good on their already discounted bundles! I was blessed to be given a copy of the Writing and Rhetoric Fable book to review. This book is the first in their series of 12 books, intended to be used as a progressive 6 year (1 book per semester) program, which starts out by using the skill of imitation as a foundation for learning writing. If you've been with Solagratiamom™ for a while, then you know I really love Classical Academic Press (CAP). Their creativity in approaching classical subjects, brings the classical model to life for kids who otherwise, would be left behind due to learning style or disability. Their multiple modality approach to classical subjects, such as Latin, has been an essential element to my homeschool. I've previously written about my great love of their Song School Latin program - which I highly recommend for anyone trying to introduce Latin to their elementary aged children - so check it out if you haven't yet! This first book in the series, focuses on developing narrative skill as an introduction to modern composition. Moral lessons are skillfully woven throughout, as you work your way through concepts ranging from easy (sentence construction) to more challenging (changing point of view from third person to first person) by the end of the book. The exercises are arranged from simple to more complex for each chapter, and cumulative for the book overall. The baseline skills your child should have before beginning this book are; basic sentence construct - recognition of a subject, predicate (and the absence of same), capitalization and simple punctation. So it's intended for about a 3rd or 4th grader. There are many things your child will be introduced to and working on in Book 1: Fable. To name a few of the main objectives: reading fluency, accurate copying of texts, dictation, manipulating sentences, learning to summarize and amplify text, creative imitation of sentences and fables, as well as introduction to the concepts of a main idea and character traits. Of course, all done in their creatively classical way! 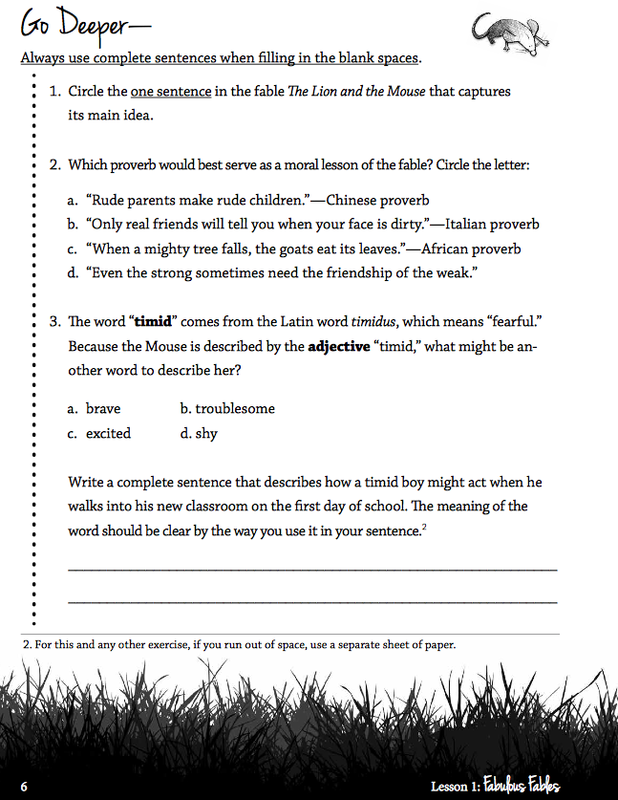 I know that the question will come up regarding the comparison of IEW used with CC and Writing and Rhetoric. Both of these writing programs are excellent and you can't go wrong - in my humble opinion. I have enjoyed our experience with IEW this year at CC. However, I recognize that it may not be for everyone. IEW also may be less suited to those who struggle to learn. 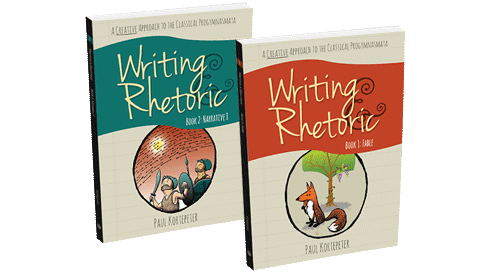 I think that the Writing & Rhetoric series is much more of a visually laid out program, with a more creative approach engaging multiple learning styles and therefore, is more manageable for Moms and kids alike. This may be especially helpful to those who struggle; having processing disorders, or requiring more creative, visual and kinesthetic elements to engage them or keep their attention. With Writing and Rhetoric, your child can engage their imagination and get up and move - which are key elements for parents that have distracted, delayed or struggling learners. I also believe it is an easier program to teach from home. It requires very little prep ahead of time verses IEW. It is much more of an "open and teach" curriculum -which may better suit busy moms. CAP does a great job of making this a layman book, you don't need to have strong skills in writing yourself to teach it (and you may actually learn quite well alongside your child, if that's the case!). Overall, it's less cumbersome to me than IEW. So...in the end, both are excellent choices, it's just a matter of the functioning style of your homeschool and the learning style or challenges of your children. In addition, I understand it to be more "classical" based on the progym (ancient model of teaching writing), which may or may not matter to you. When you use Writing and Rhetoric you are truly teaching your child how to "think" about writing. They are learning how to ask good questions, how to choose appropriate words, how to evaluate what constitutes good writing, narrowing into what is important in a story and how to get what's in their head down on paper -in a coherent manner that imitates beautiful writing. If your child is enrolled in the Essentials program with Classical Conversations®, you may consider this a great accompaniment for those wanting to continue developing their writing skills over the winter or summer break. If you child is struggling in IEW, this may be an excellent alternative. In the end, it is a creative, classical and easy curriculum to teach writing! I highly recommend you check out their sample pages to see what I mean. You can access them via Classical Academic Press' Free Samples at the bottom of the description pages for each level. If you like what you see then don't forget to use your 20% off coupon code: SGM20 and order today! Hello! I'm the editor of the series, Christine Perrin, I wanted to comment on this helpful review by saying that it doesn't surprise me that the reviewer found it useful for all learning styles--including those with learning disabilities, and struggling learners. The author, Paul Kortepeter, teaches at a school that includes and educates a diverse student body. It's a urban school that strives to keep a racial and economic balance and includes all kinds of students from many different backgrounds. In the same way, we have worked hard to make this smooth for homeschoolers. This program was developed and tested on that proving ground!